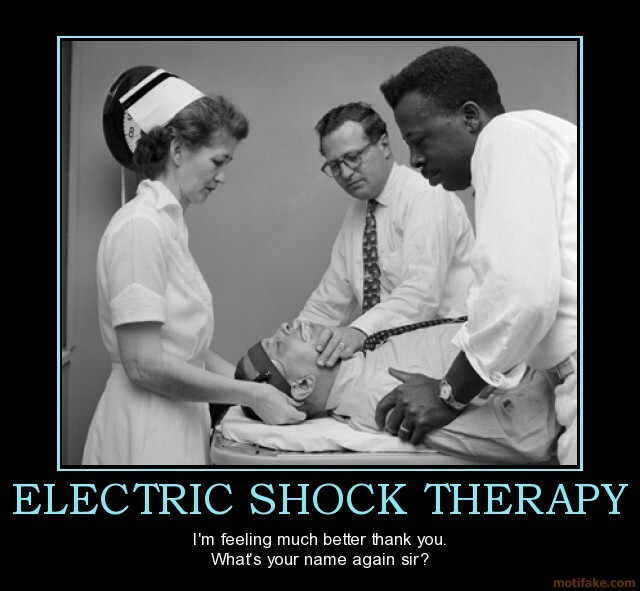 Electroconvulsive therapy, or ECT, is a tricky topic. There seems to be a split between the small percentage of people who have experienced it (or have seen their loved ones through it) and swear by it, and the vast majority of people who think it is barbaric and unnecessary. Before my recent hospitalisation, and even as a graduate psychology student, I was firmly in the “against” ECT camp. To me, anything that involved a general anaesthetic and the induction of grand mal seizures felt extreme, slightly terrifying, and yes, barbaric. In fact, I will admit that for a long time I thought it was a practice that wasn’t conducted anymore. It was one of those “Terrible Historical Moments of Medicine”. ECT was merely an entry in a dusty history book, alongside Thalidomide, heroin cough syrup for kids, and consumption of the honey coated cadaver, (yes, you read that right. I do not joke about honey coated cadavers), only useful these days for mockery by pre-med students and the occasional pub quiz victory. When I was hospitalised after the arrival of Master D I was offered ECT. I remember being completely horrified and telling my doctor, in no uncertain terms , that there was no way in hell that I’d be signing up for that kind of treatment. She held up her hands, told me no one was forcing me, but that ECT is very safe and has been proven to really help with my sort of problems. I told her no. She put me on Lithium. I recovered. And that was pretty much the last time I thought about ECT for a while. Then I was hospitalised again. Now medication, with the exception of Lithium, has always kind of been a sore point for me, in that it rarely actually seems to, you know, work. Anti-depressants made me suicidal. Anti-psychotics were GREAT for spending the day in some half sleep haze and stacking on a load of weight, but they never actually stopped “the voices” I had in my head. I often have bad reactions to medication. Random side effects. My body gets hooked to stuff easily so once I am on a medication it is a complete nightmare to come off it. Lithium works. The rest, quite frankly, I could do without. Anyway, my body’s general reaction to medication was further complicated by the tiny matter of me spending most of my time vomiting and/or running to the toilet, thanks to the good old Oesinophilic Gastroentoritis. The medication I was on wasn’t even getting the chance to make it into my bloodstream. I was seeing people who didn’t exist, dangerously suicidal, I had been in hospital for months, and was, quite frankly, a menace on the ward. Something needed to be done. You know, I don’t remember discussing ECT with my doctor and family. I don’t’ remember signing the paperwork. I don’t remember anything about it. I have no idea how they got me into the “ECT suite” (which by the way is not a suite. It’s a scary looking operating room). I can only assume that the doctor offered ECT, I accepted telling him “Do what you want to me, nothing else has worked. Clearly I’m doomed.” And my family went along with it because no one knew what to do with me. First unilaterally. Then, because that wasn’t working, bilaterally. And then – and this is quite amazing – I felt better. The voices stopped. The depression stopped. I felt, mentally speaking, okay. Within two weeks. Five months later I still feel better. Well, mentally anyway, physically things are still pretty crummy. Of course ECT didn’t come without its problems. I suffered major memory loss for an extensive period of time to an abnormal degree. After ten sessions, my family made the executive decision to stop treatment. “She is supposed to be doing a PhD,” my husband told the doctor “She is supposed to be doing a PhD and she can’t even remember the word for “carrot. This can’t go on”.” And everyone agreed with that. So we stopped treatment. I know my family hated seeing me go through ECT. They described me as looking like a “stunned mullet”, as I came out of the suite, one or two nurses holding me up as I staggered to the ward. Then I’d be all “Where am I? What’s happening?” Every other day they would have to sit down with me and patiently tell me the story again, where I was, what had happened. I would sit there in amazement. Asking question after question. “What do you MEAN I Have been in hospital for four months? !” It was like a bad dream. Soon my family learned not to tell me anything upsetting, as I would forget it within 48 hours when I had the next dose of ECT, and then have to go through the trauma yet again. We would ALL have to go through the trauma again. Even now I’m not quite sure what my stance of ECT is. I no longer see it as barbaric or dangerous. In fact. I have learned a lot. Quite honestly, I feel I was safer having ECT in the short term than polluting my body with the seventeen or so medications in the long term. I certainly see the value in ECT, particularly for extreme cases, or for people where medication isn’t working. It worked. For me. It was tge best decision. For me. It also had consequences. For me. But you know what. I’d do it again. Certainly not for a minor blip in my mood. I would have to be pretty damn unwell to start considering ECT again. But I feel comfort in knowing that there is a tried and tested treatment out there should worst come to worst. Something that works, and works quickly If it meant I was able to come out of hospital sooner, be with my family sooner, and avoid side effects and interactions and all the trouble you have when you are on a tonne of medication. If it meant that I would never have to go through, and put my family through, the hell that has been this year. Yeah I’d do it. I hope I never have to. But I’d do it. How do you feel about ECT? Hate it? See it’s value? Did it work for you or your loved ones? This entry was posted in Uncategorized and tagged ECT, Hospital, Lithium, Medication, Oesinophilic Gastroenteroitis by findingmysunshine86. Bookmark the permalink. I’ve had two rounds of ECT within 2 years. The first time, it was great. I felt better than I had in years. The second time, well let’s just say it didn’t take. It actually made my anxiety worse and didn’t improve my bipolar. Not sure why that happened when the first time went so well. For me, I wouldn’t do it again, but I would recommend it, like you said, as a last resort. I know people that get it monthly and they’re doing great. It is scary, but the outcome can be very beneficial. I’m sorry to hear that your second round of ECT wasn’t effective. That must have been very difficult for you, given that the first time went so well, and I can totally understand why you wouldn’t do it again. Thank you for sharing your story. I have had ECT, quite a few rounds and it was the only thing that saved my life. And when you want to die so badly that you’re attempting suicide every other month, you tend to be so desperate that you’ll do anything. I wasn’t thrilled, but I tried it. And it saved my life. And I’d do it again in a heartbeat. I suffered no long-term memory loss. Am I as sharp? I can’t say whether my cognitive impairment is from the gazillions of meds I have taken for 21 years or 50+ ECT (believe me, I needed every one of them) or both. I have stopped trying to analyze it because there is no definitive answer that anyone, least of all myself, can provide. I do know it has changed quite a bit since I had it ten years ago. No longer – at least in the US – is it always administered in a hospital. Quite frequently it is done on an outpatient basis in these wings of doctor-like offices. IT is amazing how much progress has been made. My partner had it done 2 years ago and she was in and out in forty-five minutes! I was shocked! No hospital gown. She stayed in her own clothes and everything! She had only 7 treatments and suffered barely any temporary memory loss. My uncle had the procedure in the sixties when they didn’t use anesthesia and it was barbaric but for anyone to use that term today is outdated and untrue. I had qute a few bilateral treatments and they don’t even do that anymore. I was an extreme case and apparently needed them. I think that is why I am having cognitive issues. Today, they barely do them anymore except in extreme cases. IT took me a year to get out of my suicidal depression. While it’s never going to be a first line treatment, I would not hesitate one bit. I’m glad to know there is a treatment out there that they have fine tuned that is just as effective as medication. Hi Wendy thank you for sharing your experiences! ECT has certainly come a long way in the past few decades. It is amazing that ECT is able to be conducted in an outpatient setting in the states. I believe here (in Australia) it is still an inpatient procedure. ..that was my experience anyway! I am so happy to hear that ECT worked well for you and your partner. I agree with you in that it can truly be a life saver. Wishing you all the best. Thank you. Excellent post. 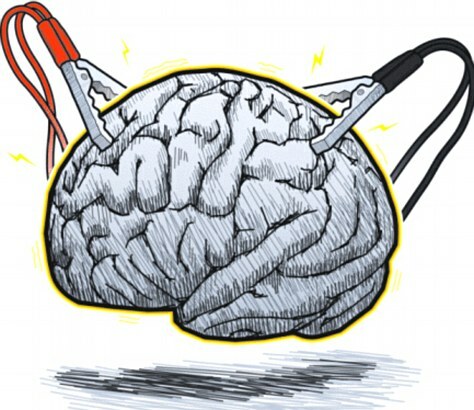 Recently read about promising research into transcranial direct-current stimulation (tDCS) for treatment of a variety of brain disorders. Clearly, we can “reset” the brain’s electrical activity and alleviate symptoms. Still in the experiemental stages, but it will be great to have more options for brain disorders that do not respond to medication. I was young, but I remember when my mom “went away” for awhile. When I was older she told me about being involuntarily strapped down and given electro shock therapy against her will. She would frequently bring up movie actress, Francis Farmer, who apparently went through the same thing. Time has passed since then and I have a couple of friends who had ECT and despite the side effects, mostly losing long parts of memory, they say they’d do it again. I understand your reluctance, but I’m glad it worked for you when you did have it. Thank you Bradley. I’m so sorry that your mother had that experience, it sounds truly horrific! Thank you for sharing your thoughts. Thanks for sharing what ECT was like for you. ECT is one of those subjects that you are either for it or against it. I know that it has helped many people. If it helps someone on their road to recovery then I’m all for it even though I personally would never choose it for my own journey.